In the futuristic metropolis of Olympus, a terrorist action is taking place. A special ESWAT team, including Deunan Knute and Briareos Hecatonchires, is sent in to deal with the attack. They succeed, but one of the terrorists manages to escape. The OAV tells a story of a terrorist plot to take over Gaia - the central computer running Olympus. 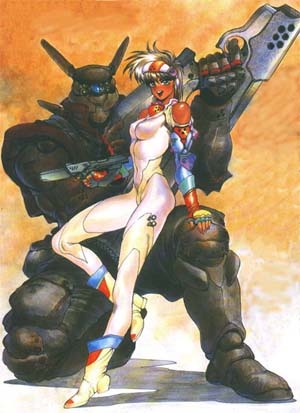 The plot involves a disillusioned ESWAT officer and the terrorist who got away and Hitomi, Deunan's bioroid friend who is used as a pawn to gain access to Gaia.